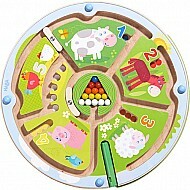 The HABA Palette of Pegs is simple and fun for toddlers and up. 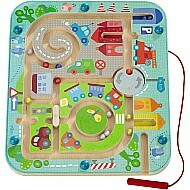 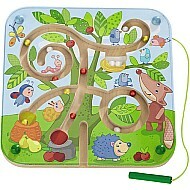 The set comes with a wooden peg board (measuring 7.5" x 7.5"), 16 wooden pegs and 16 wooden rings in different colors. 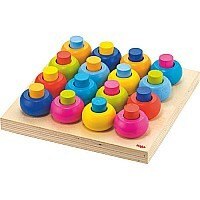 The many colors allow for young ones to play in their own way; find the matching colors or make their own design. Make it all on one level or stack the pegs and use the stacked rings to keep it steady. 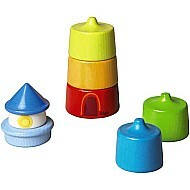 How high can you build a tower?